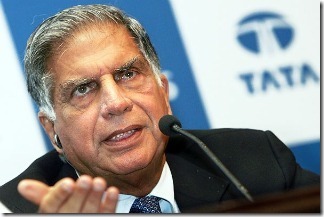 Ratan Tata: Can’t anybody do this job? India’s largest conglomerate — the US$71-billion salt-to-steel behemoth Tata Group, is struggling to finding a successor to its talismanic chairman Ratan Tata who will retire in 2012 next year after a spectacular, two-decade run at the group’s helm. In a marked departure from the Indian tradition in which businesses chose their heirs from family, often generating bitter feuds, the Tata Group embarked on a global search for a successor to Tata by setting up a five-member selection committee last August. The publicly-fought succession battle between the Ambani brothers – Mukesh and Anil, heirs to the Reliance group after the 2006 death of their father and the founder, is part of corporate folklore. The matter had to be resolved through intervention by the country’s Supreme Court. However, despite the distribution of the group’s assets, the siblings, who feature regularly in the Forbes’ rich list, continue to be at loggerheads. The Tatas’ committee had been scouring candidates both within the organization and outside and even abroad to decide on a suitable successor by its March deadline this year. Rumors were also rife that PepsiCo Chief Indra Nooyi, a personal friend of the Tatas, was also a strong contender for the post. However, having failed to find a worthy successor in the past eight months, it now seems the group may be forced to tweak its selection parameters. "Our committee has come to the conclusion that we cannot find a replacement for Mr Tata!," said a panel member in an interview to a Tata in-house journal. "We may have to change and rearrange the model in terms of what we are looking for." The large, complex and diverse group will have to make the task of the successor easier. This, say insiders, might involve a changed dynamic in the interrelationship between Tata Sons and operating companies. The Tata Group has been at the succession crossroads twice earlier. In 2002, when Tata was to retire at 65, the board promptly re-designated him non-executive chairman, which empowered him to continue for another five years. Three years later, the board ratcheted up the retirement age of the group’s non-executive directors to 75, again to somehow retain Tata. The deadline to name a successor is now being extended to May with the group even being open to appoint a foreigner at the top post. Tata’s succession has global relevance considering about 60 per cent of the group’s revenue is generated from abroad. It has a presence in over 80 countries and is the largest private sector employer in India with over 350,000 employees. The conglomerate straddles 98 operating companies – including India’s foremost vehicle maker, software services firm, private sector power producer and the world’s eighth-largest steel maker by output. An architecture graduate from the Cornell University, Ratan N Tata joined the group in 1962. In 1981, he became the chairman of the Tata Industries, and has been the chairman of Tata Sons, the promoter company of the Tata Group, since 1991. As chairman, Tata has striven to give the group a more global and cohesive identity with Tata Sons as the flagship company. The tycoon’s big-ticket acquisitions including Anglo-American steel giant Corus and luxury carmaker Jaguar Land Rover further consolidated its global footprint. Insiders say Tata’s professional trajectory must feel special to him considering that when he took over the reins as Tata Group chairman in 1991, his critics were scathing in their disapproval and skepticism for his candidature. The businessman was considered to have gained his position purely on the “strength of his surname". Turning preconceived notions on their head, nearly 20 years later, Ratan Tata surpassed all expectations by crafting one of India’s most respected business houses with a revenue that is nearly 40 times the 1991 level while net profit has quadrupled. Even so, lending complexity to the Tata succession is the fact that the family belongs to the diminishing minority Parsi community in India which numbered about 70,000 according to the 2001 census. The Parsis are thus employing subtle pressure on the Tatas to choose an heir from one of their own. The community’s wish may well be granted given the fact that Tata’s half -brother Noel Tata is tipped to be a particular favorite to fill the top slot. He was first appointed chairman of Tata Investment Corporation in June and later named managing director of Tata International after giving up his position as managing director of the retail firm Trent Ltd.
What obviously works in Noel Tata’s favor is the Tata name. He is also the son-in-law of Pallonji Shapoorji Mistry, the single largest individual shareholder in Tata Sons, with around 18 percent percent of the concern. Pallonji Mistry’s son Cyrus is also on the board of Tata Sons. The pro-Noel lobby draws a parallel between him and Ratan Tata – both are shy and introverted yet extremely driven professionally. Noel has zealously pushed for new business innovations in the 141-year-old business house. He is also credited with having pioneered private labels by Indian retailers. Since taking over as the managing director of Tata International in June last year, he has diversified into footwear retailing, accelerating exports and making many acquisitions. 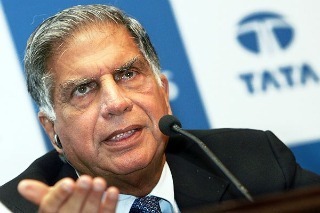 Ratan Tata has distanced himself from his succession issue and given complete freedom to the appointed committee. In any case, the succession issue may be the least of the tycoon’s problems right now as he finds himself embroiled in the multi-million dollar 2G scam controversy. He appeared this week before a parliamentary panel probing the telecoms graft scandal, which has damaged the ruling UPA government’s credibility and alarmed investors in Asia’s third largest economy. Estimates suggest that India may have lost as much as US$39 billion in revenue due to the violation of rules when lucrative 2G mobile phone licenses were granted in 2008, a sum equivalent to the country’s defense budget. Tata was interrogated soon after the police made the first indictments in the case, naming Andimuthu Raja, the former telecoms minister, a unit of the Reliance group and the Indian partners of Etisalat and Telenor among the accused. Andimuthu Raja was forced to resign and has been arrested. He was charged last week with abuse of official position, cheating and criminal conspiracy. Tata had earlier backed Raja and the policy changes he made, saying they "broke the powerful cartel which had been holding back competition."